An Evanston-based company has helped about 85 residents since January install solar water heating systems in their homes as part of a state program that encourages the use of solar- and wind-powered energy. The Illinois Energy Office allocated about $2.5 million for the Illinois Solar and Wind Energy Rebate Program, which closed to applicants Oct. 10. The program offers a 30 percent federal tax credit to those who use solar- and wind-powered energy systems in homes, businesses and the public and nonprofit sectors. The Evanston company, US Solar Network, worked with homeowners through every step of the process, from navigating the rebate to installing the solar-powered water heaters at home, the company’s owner Bill McDowell said. The business plans to branch out to nearby communities like Wilmette and Rogers Park. McDowell said he looks forward to reaching 100 installations by the end of the year. This achievement would decrease carbon dioxide emissions by 150 metric tons each year, according to US Solar’s site. 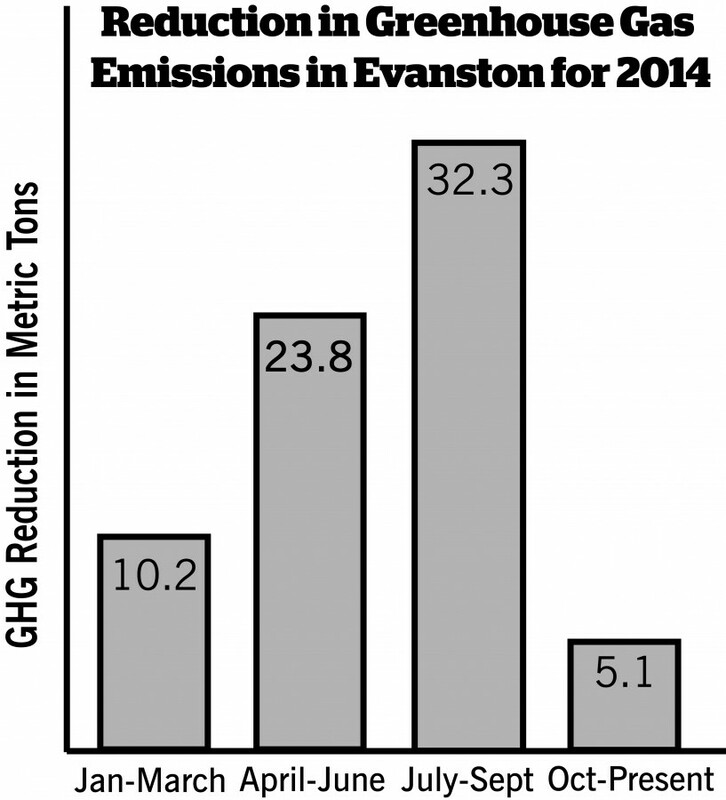 “That’s our big goal and that would be a significant CO2 reduction for Evanston,” McDowell said. Evanston residents are embracing the program as a way to impact the community, he said. Catherine Hurley, Evanston’s sustainable programs coordinator, said she expects residents’ involvement to grow following the program. Installing a solar-powered system to heat water can reduce a home’s greenhouse gas emissions by up to 30 percent per year and decrease its utility bill by up to 20 percent, according to US Solar’s site. US Solar worked with California-based company Heliodyne Inc. to ensure the universal solar unit was built with Midwest weather in mind, McDowell said. The company released a promotional video last spring encouraging residents to join their neighbors who had already installed a solar water heating system. Medill sophomore Clayton Gentry assisted in the production of the video and helps US Solar devise strategies to improve its website and social media presence. Gentry said he enjoys working with the company due to their shared mission.